Hitari: Win an Awesome Skylanders Kickoff Countdown Keyring Now! Win an Awesome Skylanders Kickoff Countdown Keyring Now! 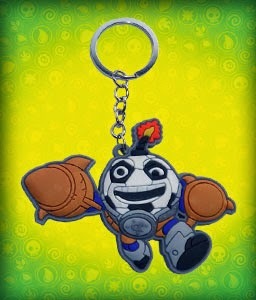 Join our Twitter competition this week to win this Awesome Collectable Skylanders Kickoff Countdown Keyring. You won't find it selling anywhere., it is a Collectable item and has been reserved for only two lucky Winners!!! Join now and win so you can Celebrate the Summer of Football! Note: The Kickoff Countdown character is the only Skylander with the head of a football ! !